I am a registered nurse with a primary background in Critical Care. I deliver clinical skills education across health related courses including Pharmacy and Nursing. I have an interest in simulation across healthcare education. I am the lead for the Clinical Skills course. 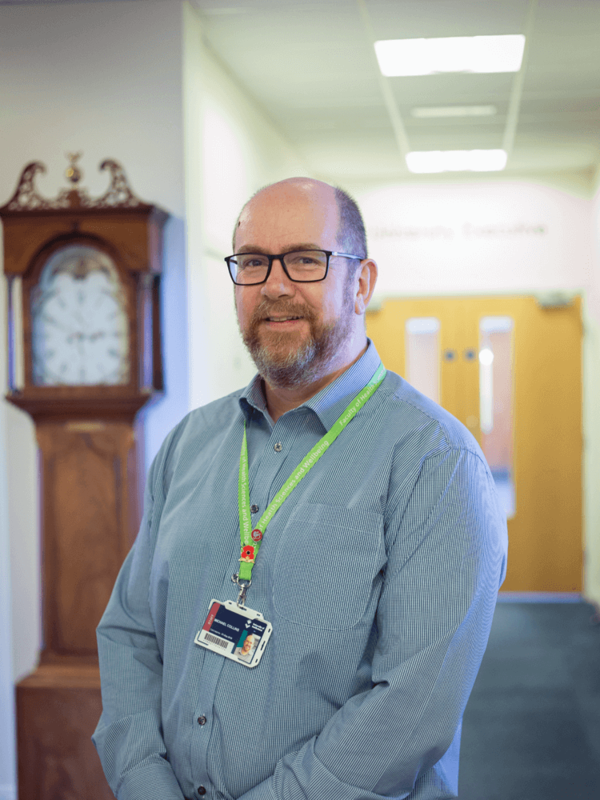 I teach on BSc (Hons) Healthcare Sciences, MSc Public Health, MPharm Pharmacy, BSc (Hons) Adult Nursing Practice and BSc (Hons) Paramedic Science and Out of Hospital Care. I also have a substantial input into the simulation-based teaching across the faculty. Collins, Michael, Green, Alan, Maguire, Louise, Hardisty, Jessica and Scott, Lesley (2014) 0146 Managing Risk, The Use Of Simulation In Pharmacy Education. In: BMJ Simulation & Technology Enhanced Learning, Short Communications/Works in Progess, 12th Novermber 2014. This list was generated on Sun Apr 21 07:31:02 2019 BST.